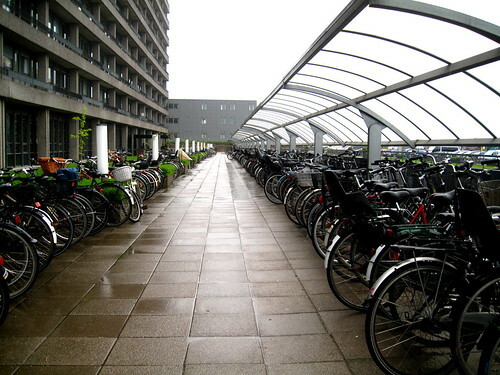 Here are the bike racks outside the main entrance to the National hospital - Rigshospitalet - yesterday. A few thousand bicycles. This doesn't include all the other buildings on the campus. And this is what most Copenhagen bars look like in the middle of the night. This is a cool bar in the meat packing district at about 03:00 last night. The night is still young and the bars are crowded. 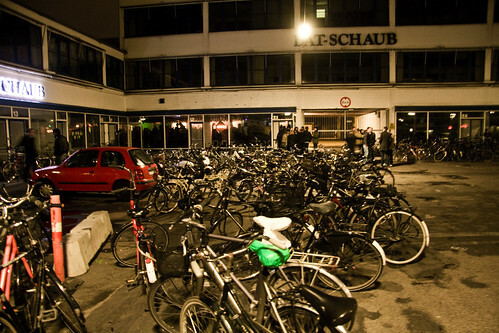 The bike parking looks like this outside each and every bar. The bicycle is the nocturnal transport king.